It’s amazing where a little idle chatter can take you. For us that turned out to be World’s End, probably one of the best place names I think I’ve ever had the good fortune to visit. 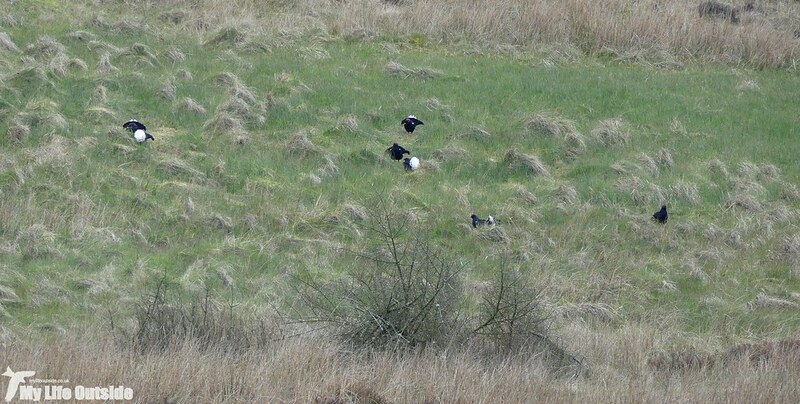 It all began just over a week ago when, whilst visiting family down in Kent, talk somehow turned to Black Grouse and the fact that my sister had stumbled across a few whilst walking the Dark Peak. Fantastic for her but somewhat irksome for my father and I who both have these moorland battlers on our “to be seen” list. It did however serve as a timely reminder that for the past couple of years I’d been musing on a potential trip to north Wales to try and see the leks there. Only a couple of minor points had been holding me back. Firstly I wasn’t entirely sure where to go, secondly there was the underlying worry that we’d come away empty handed following the long trip, and finally I really didn’t fancy those pre-dawn starts which seem to be par for the course if you want a quality encounter. That being said a fire had indeed been lit and a bit of internet research later had me in contact with the RSPB who run early morning tours near Llangollen. Sadly they were all full but fair play to Vera in returning my email who was more than willing to point us in the right direction. 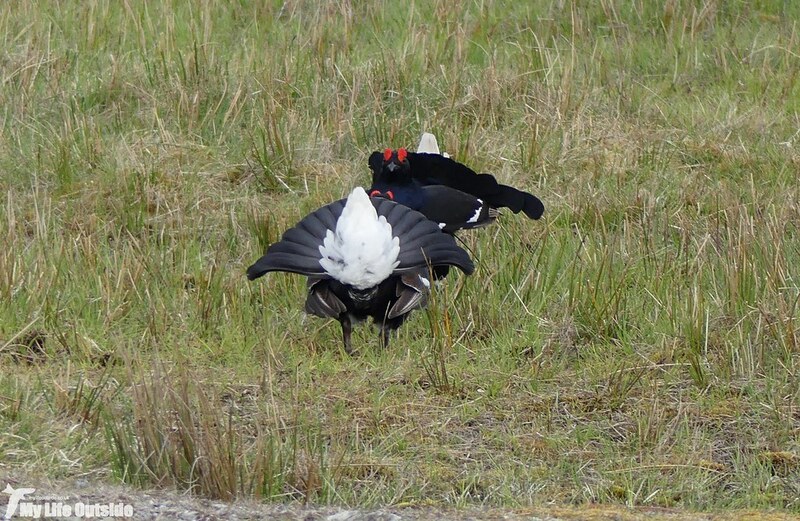 A few hours later we had a cottage booked and Saturday found us watching our very first Black Grouse lek. Awesome doesn’t come close to describing the experience. 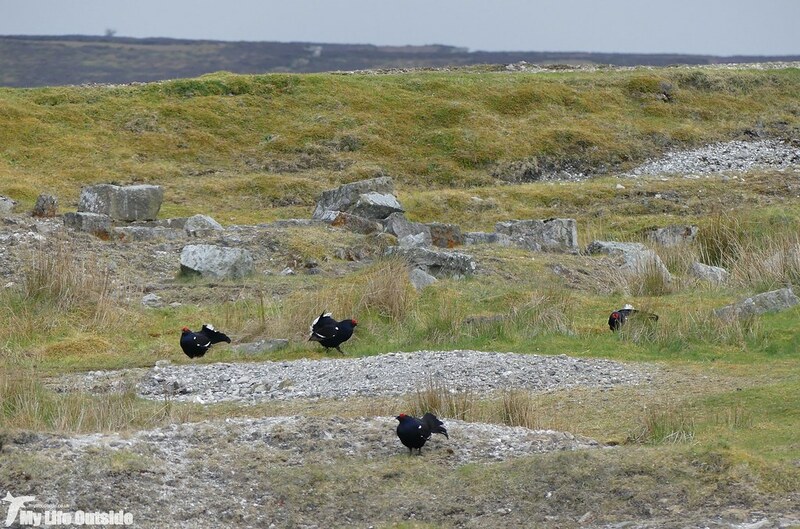 Although distant we were able to enjoy the sights and sounds of up to seventeen male Black Grouse battling for dominance on a moor that literally felt like another world compared to what we lovingly refer to as ‘civilisation’ just a few miles away. The air was filled with an almost continuous bubbling call, interspersed with sharp shouts every now and again when things really started to heat up. I always find it strange finally seeing something in the flesh having been so familiar with it over the years through TV and the like and just couldn’t help thinking that it didn’t feel quite real. But real it was and we remained enthralled by the ebb and flow of the lek for at least the next twenty minutes before as one the flock took flight and left. One bird even flew directly overhead and let me assure you that they are neither quiet nor small when up close. 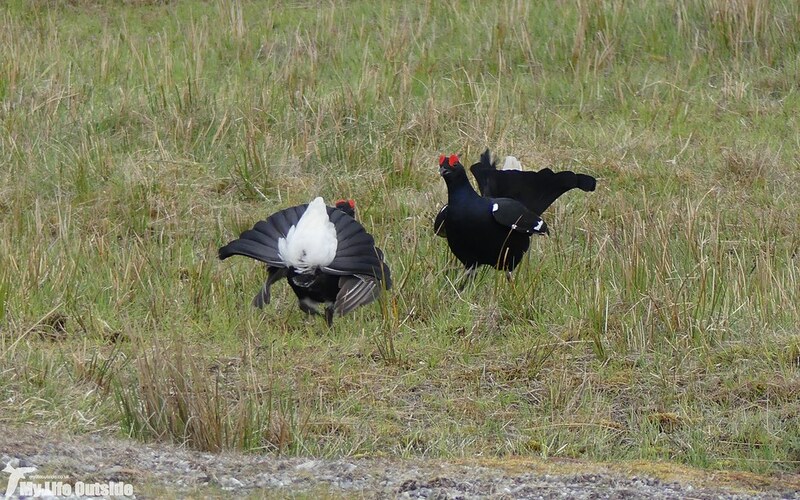 It’s worth noting as well that we had not arrived pre-dawn for this lek. Far from it in fact. Having spent the majority of the day walking we rocked up at World’s End around half five in the evening. A whole lot more appealing for this hater of early starts. 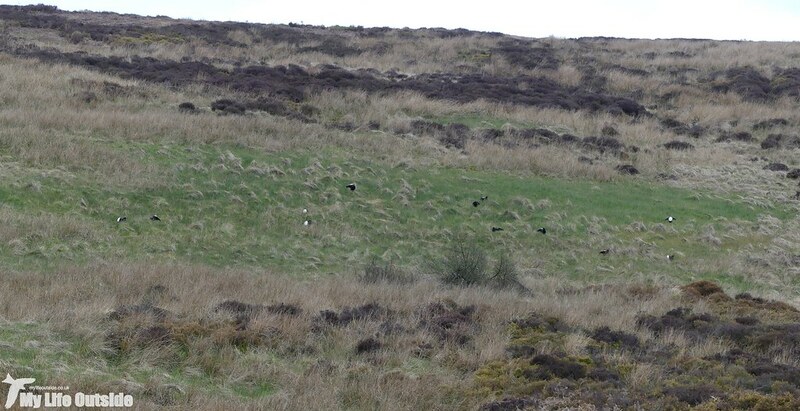 The whole thing was viewed from the car, as recommended to avoid any kind of disturbance to the birds, and I still can’t believe that we finally managed to see a Black Grouse lek after all these years. Of course there’s always the chance that we’d just been incredibly lucky so we returned around the same time on Sunday. 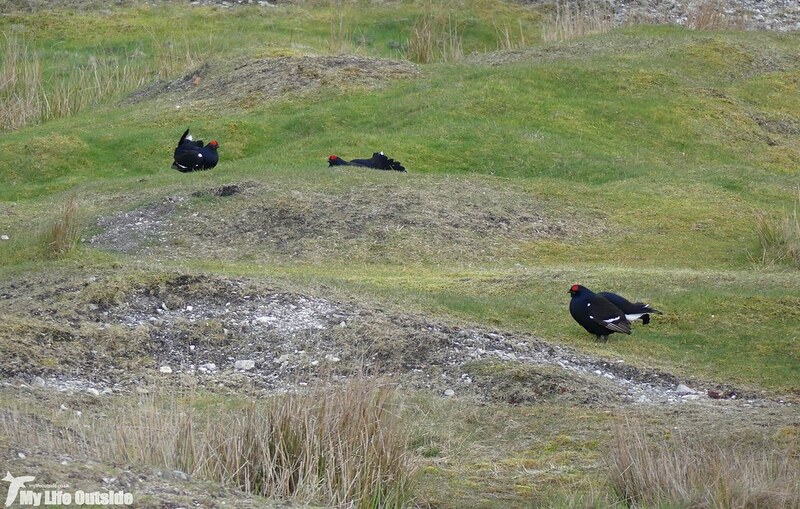 Once again we found the lek, though this time in a more subdued mood, with most of the male birds seemingly happy to sit and tolerate each other’s presence. We wanted drama however so carried on along the road with eyes peeled for something a little more lively. 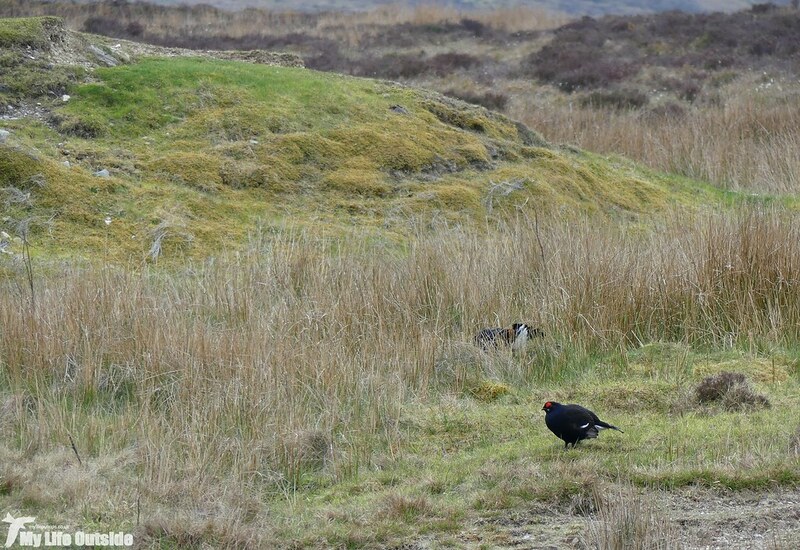 We thought we’d found it when a head popped up from the heather but that turned out to be a Red Grouse instead. Nice to see but not what we were after. Less than a mile later though and Emma spotted a few black dots ahead and blow me if it wasn’t a lek happening right next to the road! Having pulled up I made a rather impressive dive for the back seats (so as not to exit the car and potentially disrupt proceedings) and started snapping away. If we’d thought our first lek impressive, this one was on a whole other level. Contests were breaking out in all directions as pumped up males first fanned their tales then began to charge their rivals. 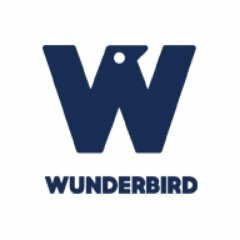 Most of these confrontations involved two individuals but as things continued to heat up brawls would often involve three, four or even more birds. Despite my best efforts I must confess to being at a total loss as to who, if anyone, was coming out on top but suffice to say we were probably the happiest living things out on the moor. In the end a heavy rain shower limited any further photography but I was more than happy to simply sit back and watch events unfold. If you’d seen me I’m sure I would have had a massive smile plastered across my face. After almost an hour we left the Grouse to battle on into the gathering darkness, drawing to a close our time at World’s End.